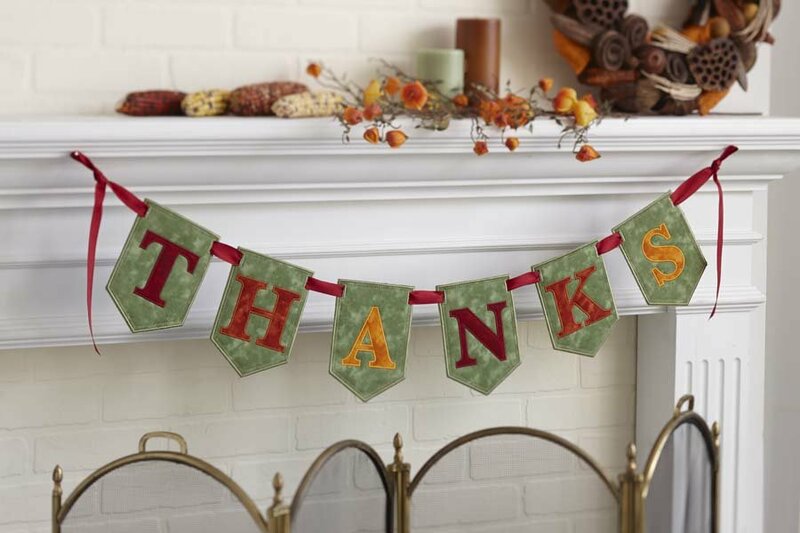 Six embroidery files to create each of the pennants in the "Thanks" bunting as featured in the fall 2014 issue of Quilting Celebrations. Although this project can be completed in the hoop, additional instructions for finishing may be found in the magazine. The pennants in this bunting are quilted in the hoop in the same we we make our mug mats. You can see our tutorial for those, here. You are purchasing an embroidery file, only. There is no instruction on how to do machine embroidery or how to create projects using these embroidery files. You must have a knowledge of how to use your embroidery machine and how to download the files and load them on your machine or into your embroidery software.